Some seasons there are just too many ideas and this was one of them. For Autumn Winter 2013 our inspiration was endless…. 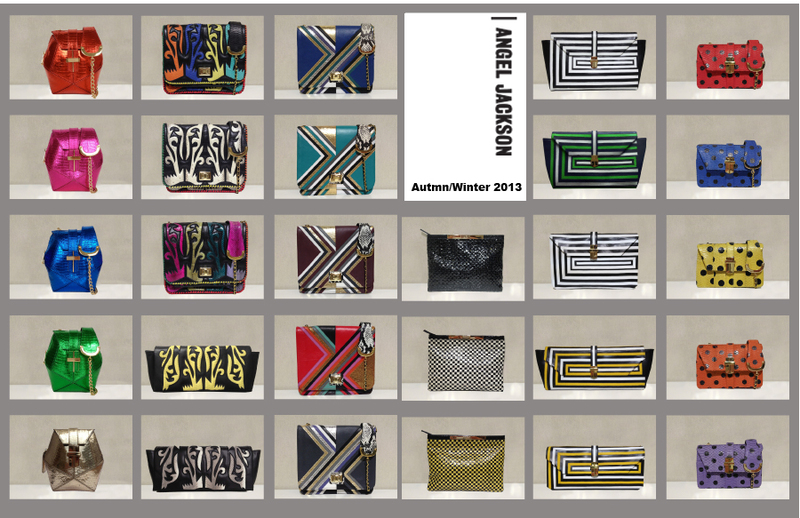 I’m clothes designer and yours bags are very harmoniously complete my looks! I follow for update of your collection! Thank you for what you have! Yes please, one of each! I just LOVE your handbags and I would buy every single one if my pay-check would allow it! You really have outdone yourself this season! The cowboy-inspired leather and snakeskin clutches are gorgeous! Can’t wait to add to my growing collection of Angel Jackson beauties. They are just perfect !!! I have recently bought the snakeskin clutch and love it so much I am ordering another in a different colour – now which to choose….